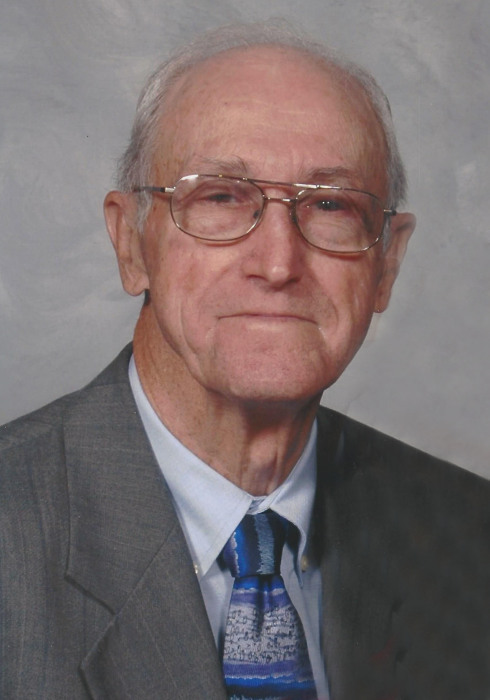 Titus Eugene Dickerson, 87, of Wake Forest, passed away Wednesday, November 14, 2018 at his home. He was born in Granville County to the late James Mack Dickerson and Mary Tippett Dickerson. Mr. Dickerson was a veteran of the United States Navy having served on the USS Yorktown(CVA-10) during the Korean War. After serving his country he began a career with the United States Postal Service where retired after 29 years. He was a dedicated husband, father, grandfather and will be greatly missed. Private services will be held at Pine Forest Memorial Gardens. Mr. Dickerson is survived by his wife of 61 years, Kathryn Roberts Dickerson; children, Richard Dickerson(Kimberly) of Burlington, Sandra Dickerson Nash(Tracy) of Wake Forest, Cynthia Dickerson Bailey(Johnny) of Youngsville and Randall Dickerson of Wake Forest; grandchildren, Chris Yauch(Heather), Jamie Dickerson and Hannah Dickerson; great-grandchildren, Kensley Dickerson, Ayden Dickerson, Joshua Yauch and Ethan Mitchell. He was preceded in death by a daughter, Anna Grace Dickerson; three brothers and two sisters. In Lieu of flowers, memorial contributions can be made in honor of Mr. Dickerson to American Heart Association, 4217 Park Place Court, Glen Allen, VA 23060-9979 or to Kindred Hospice, 136 Roxboro Rd, Oxford, NC 27565.